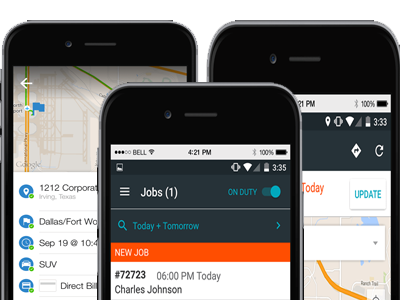 Our industry-leading free driver apps allow your drivers to receive, manage, and close out their trips in real-time. 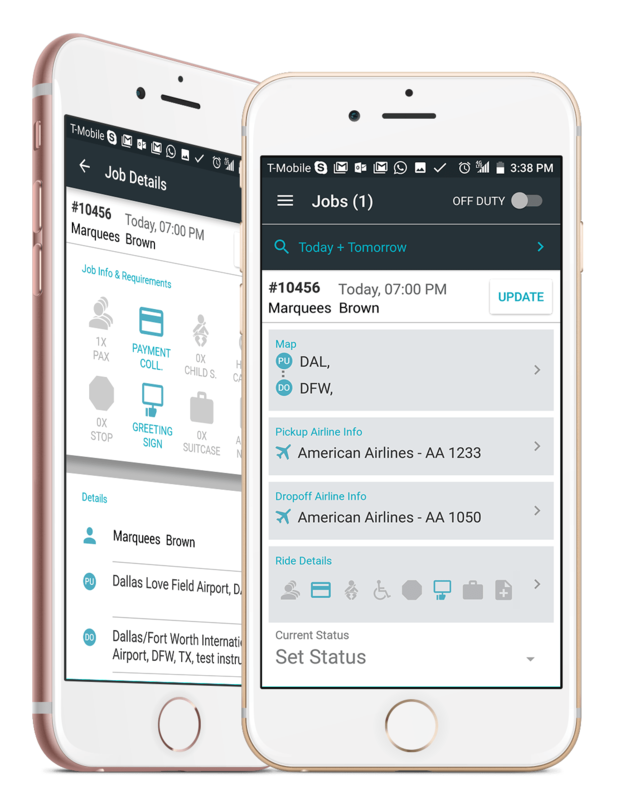 Avoid the hassle of phone calls and radios with one-click transfer of all relevant information with automatic push updates of trip details. Get real-time location updates via GPS from your driver’s phone. Drivers can easily update the status of the trip in the app and dispatchers can see the progress in real-time directly on the dispatch grid! Quickly and easily process payments and credit cards from the app! 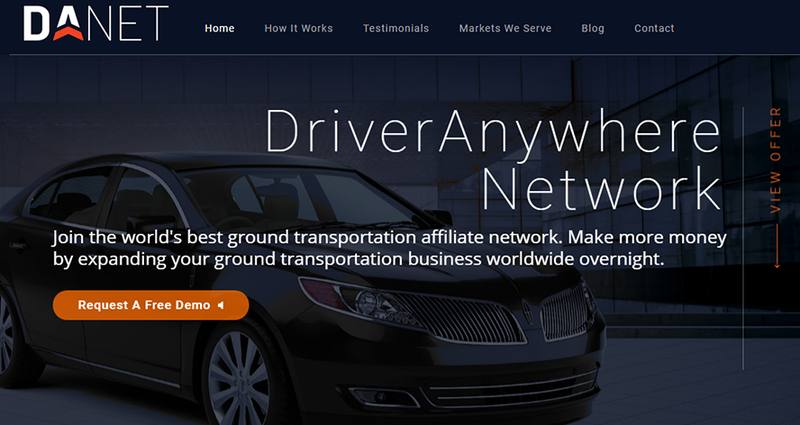 Upgrade your company by sending jobs directly to your drivers’ phones and letting them do more rides.